Lugana DOC wine: Riserva, Spumante or Superiore DOC? The land of Lugana is located in the low part of Lake Garda. A land rich in minerals, given that during the last glaciation it has been occupied by a huge glacier. The soil is clay and calcareous and when it is raining it become muddy and impassable, whereas in summer during the drought it is that tough that it is impossible to be cultivated. The climate is mild and characterized by mild winters and hot summers. Here Trebbiano di Lugana wine find its perfect habitat and express itself at its best. The grape variety hasn’t a great vigour, thus, it is perfect for this type of climate. 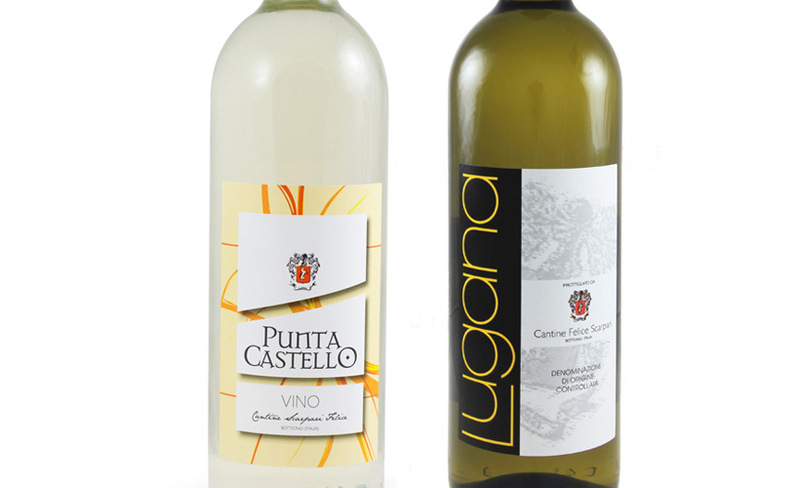 The production area of Lugana DOC wine continues in the provinces of Brescia and Verona. The vineyards are placed in a plain soil with a proper channel to avoid water stagnation. 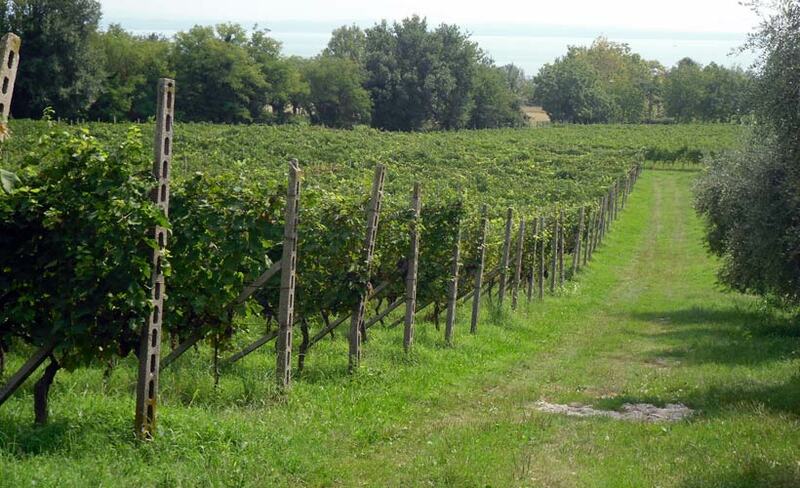 Lugana vineyards are located in the provinces of Brescia and Verona. The vineyard uses a double arched system with 18 buds. The new regulation entered into force in 2011 allowed to cultivate with a larger density. The minimum number of variety per hectares hasn’t been below 3700 and the cultivation system doesn’t have to affect the grapes and the wine. Intensive cultivation, moreover, is forbidden. The yield per hectare for Lugana, Lugana Vendemmia Tardiva (Late Harvest), Lugana Spumante (Sparkling) and Lugana Riserva doesn’t exceed the 12,5 tons. The yield of the Lugana Superiore doesn’t have to be more than 11 tons per hectare. In addition, Lugana DOC and Riserva have to have a minimum natural alcoholic volume of 10,5%, and 13% for Lugana Vendemmia Tardiva (Late Harvest) whereas the minimum alcoholic volume of Lugana Superiore is of 11%. There is a strict code of conduct to assure high quality wines: the final product is a pleasant wine and its quality boasts a great success. Lugana DOC has a bright straw yellow with green shades. The smell reminds citrus and tropical fruits. Once tasted it is elegant with a round taste. Its freshness is clear and it give a great balance to the wine. It is perfect with first courses with lake fish, risotto or white meats. Its minimum alcoholic volume is 11%. Superiore (superior) refers to the minimum alcoholic volume of 12%. Its colour is straw yellow with green shades or tending to gold if it has been refined. It has white flowers and white fruit aromas and if tasted it is round, strong with a slight aftertaste of wood. Lugana Riserva is aged for a certain period of time and it has a minimum alcoholic volume of 12%. Its colour is intense gold yellow. It smells of ripe white fruits and citrus. It is an important and high quality wine that reminds to the taste the same smells reaffirming its harmony. The right pairing is with broth or soups, medium-long seasoned cheeses or with lake fish. The late harvest occurs after that the grapes reached their perfect ripening. In fact they whiter on the plant in order to complete the concentration of the sugars. The most important characteristic of these wines is the softness, the intense taste and the irrelevant sourness. Lugana Vendemmia Tardiva, thus, has an alcoholic volume above 13°. The colour is gold yellow tending to amber because of the ageing; it has aromas of withered fruit and a lasting minerality. If tasted it is well structured, warm and mouth filling. Trebbiano grapes are perfect for the bottle fermentation. Charmat method gives fresh and fruity notes. Whereas, the Traditional method is able to give aromas that remind bread crust and yeasts. The foam is delicate and the perlage lasting.